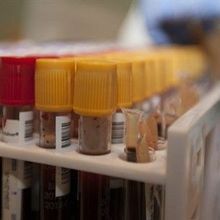 ISTOCK, SUDOK1A small clinical trial testing the safety of administering young people’s blood plasma to treat Alzheimer’s disease has found that the approach may slightly improve patients’ cognitive function, according to researchers at Stanford University. However, the results, presented on Saturday (November 4) at the Clinical Trials on Alzheimer’s Disease conference in Boston, have already been criticized due to the study’s small size, problems in the trial design, and a lack of plausible mechanism of action for the treatment. The current trial’s rationale comes from work in the lab of Stanford’s Tony Wyss-Coray, who had previously shown that young mouse blood could improve physical and cognitive function in older mice. The California-based startup Alkahest, founded in 2014 by Wyss-Coray, gained approval to test the approach in Alzheimer’s patients a couple years ago. But the trial itself, initially designed to be placebo-controlled, did not go according to plan. 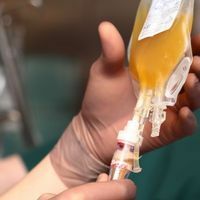 To begin with, nine patients with mild to moderate Alzheimer’s received weekly infusions for four weeks of either saline or plasma from male donors between 18 and 30 years old. After several people dropped out, however, a new trial was started in which there was no placebo group, just weekly injections of plasma. Michael Conboy—also at the University of California, Berkeley—tells New Scientist that this design could make the results of the trial unusable. “It’s like picking all the aces out of a deck of cards and then shuffling the deck,” he says. 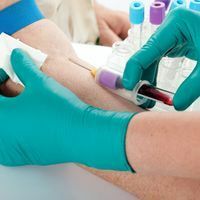 On cognitive tests administered by the researchers, Alzheimer’s patients receiving plasma injections did no better than expected. But the researchers reported that caregivers answering questionnaires reported slight improvements in their patients’ performance of daily tasks. 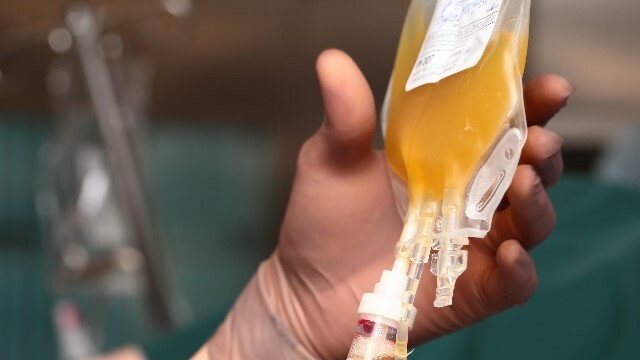 Significantly, it was the patients in the first trial, who did not know whether they were receiving plasma or saline, who showed the most improvement by this measure after plasma injections, the study’s principal investigator, Sharon Sha, says in a statement. 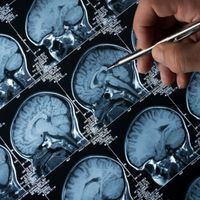 Alkahest has already announced plans to move forward the clinical development of plasma-based treatment for mild to moderate Alzheimer’s disease.